Americans traveling in Asia who experience emergency situations will need to contact the nearest U.S. embassy in the country. The same applies for replacing stolen or lost passports. Write down these important numbers for your trip and carry them with you. 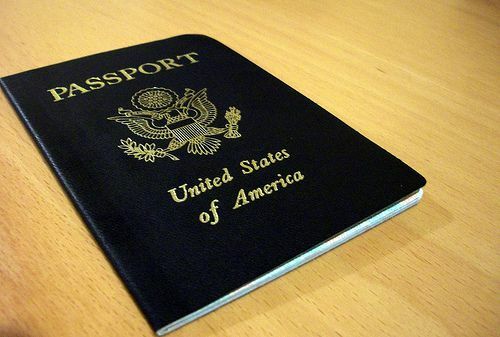 See what to do if your passport was stolen. Area codes below are shown in ( ) -- you may not need to dial the area code if already in the same province as the embassy. Sometimes a number must be padded by a ‘0’ to ensure the correct number of digits; ask a local to help you dial if necessary. See how to call Asia from other countries. Unless you have an emergency, an appointment is almost always required before visiting a U.S. embassy. Don’t expect that you can simply turn up to be seen! Expect to encounter strict security around many embassies. Bags will be searched and you will not be allowed inside with a camera or electronic equipment. Just as when flying, don’t forget about that knife or lighter in your bag! To expedite help, you should always try to contact the local embassy closest to you first. If that fails, you can try the general phone numbers for the Overseas Citizens Services. More about travel in Brunei. +95 (1) then 536-509, 535-756, or 538-038. More about travel in Cambodia. After-Hours Emergencies: +86 (21) 3217-4650, press "0" for the operator. More about travel in India. More about travel in Indonesia. For after-hour emergency service: +82 (2) 397-4114. More about travel in Korea. More about travel in Laos. More about travel in Malaysia. More about travel in the Philippines. More about travel in Singapore. More about travel in Sri Lanka. Emergencies after hours: +84 (4) 3850-5000 or +84 (4) 3850-5105. More about travel in Vietnam.